When I was asked to review this product I was a little hesitant because I hadn’t heard about this brand before as one is. I received the 8600mAh Selectec power bank as a complimentary item to evaluate it and provide an unbiased feedback. When the package arrived I was pleasantly delighted by it. It came in a brown box which contained the power bank, USB connector and a ‘tiny’ user manual. The battery pack itself has a slim design compared to other power banks in the same range. The power bank looks good and the materials appear to be of good quality. It is incredibly lightweight and easy to carry. It also has a small plastic loop at one end which would be a perfect place for addition of small karabiner and personalise it to your hearts content. The power bank comes in multiple colours. The one I received is white and so far no smudges! It is a great power bank to have on the go for multiple reasons. 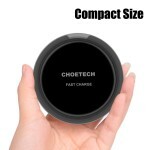 It’s compact size and low weight makes it easy to carry and fits into your pockets, purses and handbags! The length of the 8600mAh version is little tall so it tends to stick out of your pockets but it is forgivable given its easy and fast charging. It also has 4 LED lights to indicate the power remaining in the battery with each light indicating 25% of the power. You are also provided with a power button that will activate the LED lights. It has two USB ports so you can charge multiple devices at the same time. The battery pack boasts a 3.4mAh charging and so far it has not fallen short of the promise. I was able to charge my iPhone in record amount of time multiple times since I received this power bank. The power bank worked equally well with the android devices I tried including Moto G, Samsung Galaxy S2. So far I’ve only had to charge it once a week which is another ‘tick’ in the quality box of the batteries used. With all the good I found a few things that could be improved upon. The fact that it does not provide pass-through charging is a bit of a let-down. I think this feature would be a great addition and increase the desirability of the battery pack. It could also have a digital display for remaining power and lastly the surface of the battery pack itself could have a little texture/hold as the smooth surface can make it prone to slipping from hands. All in all, this power bank ticks all boxes of quality, affordability and utility.